About the Story: The War of Spanish Succession is over, many sailors are out of work, and the thriving American colonies are quickly becoming the place of opportunity. For Sam Bellamy, it was the opportunity of becoming the captain of his own ship. When he falls in love with a rebellious New England debutante, he finds out very quickly that he needs more than a dream to win over her socialite parents. After a failed treasure salvaging expedition, Sam makes one last desperate attempt to change his economic standing, and unwittingly becomes the Captain of the Pirate ship ‘Mary Anne’. As a self proclaimed “Free Prince” Sam wages war on greedy merchantmen, slave traders, and Mother Nature, in a bid not only for the love of his life, but for life itself. My Thoughts: Plenty of action and adventure in this quick-paced listen. The author drops us into the moments of a terrible sea storm Sam Bellamy thinks are his last. He quickly pens a note to Maria, puts it into a bottle. Virtually, he is saying goodbye. A few of the crew wash ashore alive, he is among them. Most were dead. But the crew has a plan and they stick to it. The reader/listener is not privy to it however. The story shifts to how Sam meets Maria and his decision to go to sea, selecting his crew, etc. We learn early on in the story that Sam is special. He tries to save a man and wife, slaves to a nasty man whom we’ll meet again in the story. The woman gets shot. He helps the run-away slave, giving him coin. One would think a man, known as a pirate, would be only interested in his self-worth, but Black Sam was a pirate of much honor. He in his own way, fought for the less fortunate while his conscience prodded him forward and his courage saw him through. Maria Hallet came from a family who was very respectable– a family who made their money as merchants. They were well esteemed within the community. Her family wanted her to marry well, and Sam Bellamy was not the man for their daughter. Maria was quite beautiful, but didn’t want to be a conventional woman. She had a very adventurous spirit, very much a kindred soul to the man she was soon to fall in love with. Sam met her one afternoon. She was sitting under a tree reading. He was entranced at first sight, spoke a few words with her in a semi-flirtatious tone. Sam was eager to know who this girl was and had not long to wait. It appears Maria felt much the same way. He met her in one of her father’s many shops. Knowing their relationship could not continue since he knew he needed money to show her parents his worth, he left Cape Cod, promising to come back after six months. He was on a mission. At the time that Sam was getting to know Maria, she had a suitor, Captain Swiney, most favored by Maria’s parents. Captain Swiney did not have any scruples whatsoever to rid himself of Sam because he saw Maria was interested. While Sam endeavors to mass a fortune for his lady love, Captain Swiney crosses his path several times, always during some mischief or other. Sam not only has to fight Swiney, he makes enemies of pirates along the way, who seem to appear at the worst times. By association, he becomes a pirate, although he was always generous with the crews of the ships he captured. Sam’s love to Maria is tested, he gains respect and love from his crew, but he is much too long away from Maria, more than six months as he promised her. Will she wait for him? I truly enjoyed this tale of the high seas. The narration was interesting for there were many people who played various characters. All in all the narration was fine. Only one remark, however. If each individual’s voice volume and proximity to the mike had been more consistently the same, it would have been a smoother listen. As it was, I noticed the change and lost some of my focus on the actual words spoken. The author took a known figure in history, Sam Bellamy, known as Black Sam, and around certain events created quite an adventure for readers/listeners to enjoy. I hope once you read or listen to this story, you’ll do a little research of your own about this historical figure. I always enjoy stories at sea, particularly those sea voyages that nature itself is your foe. During this period of history, early 1700’s, life on the high seas was dangerous, not only because of the weather, but the ships that might appear beyond your bow or stern. Are they friend or foe? With so many ships which raise and lower different flags, there is no guarantee that the ship approaching is really what they say they are. I’m hopeful there is a sequel to this great story! 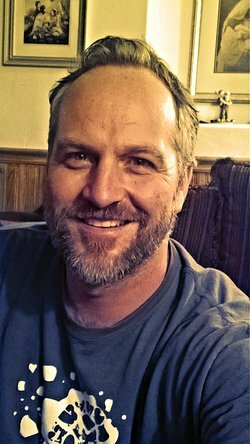 About the Author: As a fiction author who gets bored rather quickly, I bounce around several different genres. Basically I fall in love with a character, setting, or idea, and I go for it. When I get to the point where my hands lie frigidly still on my keyboard, I change it up and write in one of my other stories. That way I don’t get anything done. It’s perfect. I come from a large family, I have four brothers and nine sisters. It’s not a typo I have nine sisters! By shear force of numbers I was made to watch shows like Seven Brides for Seven Brothers, and Anne of Green Gables. I suppose if you were looking for a reason I’m attracted to stories with romantic elements, that would be it. Growing up with nine sisters, and being the only male member of an amazing writing group I’ve learned many things, most of which I can’t tell you. But what I can say is that women make men better human beings, and I feel fortunate to know so many good ones. Note From the Author: I first learned about Samuel Bellamy while watching a documentary about Barry Clifford, the man who found his sunken ship, The Whydah Gally. Of course pirates are always fascinating people, but it was the possible love story between Sam and Maria Hallet that peaked my interest. It is a sort of Braveheart at sea kind of story, a man both disillusioned by corrupt governments, and inspired by the love of his life. Turning to piracy not only to claim his freedoms from those that would oppress, but to win the heart of his love. Of course whether or not he even had a lover in Cape Cod has been considered a matter of folklore, as can many other stories told about Sam. Nevertheless, the facts surrounding Sam’s life are compelling. These facts bolstered by folkloric stories and creative license to fill in the holes can create a fantastic tale. This is my hope. I made a conscious choice when writing this book, not to delve into great detail concerning the violent, and sexual deeds that were likely common to one living a life of rebellion. Holding instead to the core aspects that make up this charming adventure, making it fit for all ages to read. Thank you for your interest in my book, I hope you enjoy it. If you listen to audiobooks, you may want to check out the audio version as it is a multicast production that really brings the story to life. 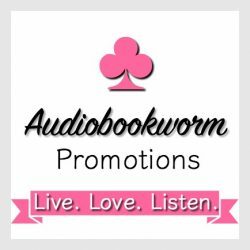 This entry was posted in Audiobook, Audiobook Review, Clean Read, Coming of Age, Historical Fiction, New Adult, Young Adult and tagged Audiobook Review, Black Sam: Prince of Pirates, Historical Fiction, James Lewis, Young Adult. Bookmark the permalink.